« Can AirBnB and Uber Civilize Humanity? This post will be a quickie for me: I want to use social media to extend the reach of “The Friendship Project” and it’s now time to at least link this blog to Facebook. So I am hoping that some of you reading, have found your way here, from there. If you are curious about the catalyst for the Project, you can read my earlier post “It was literally all in my head”. 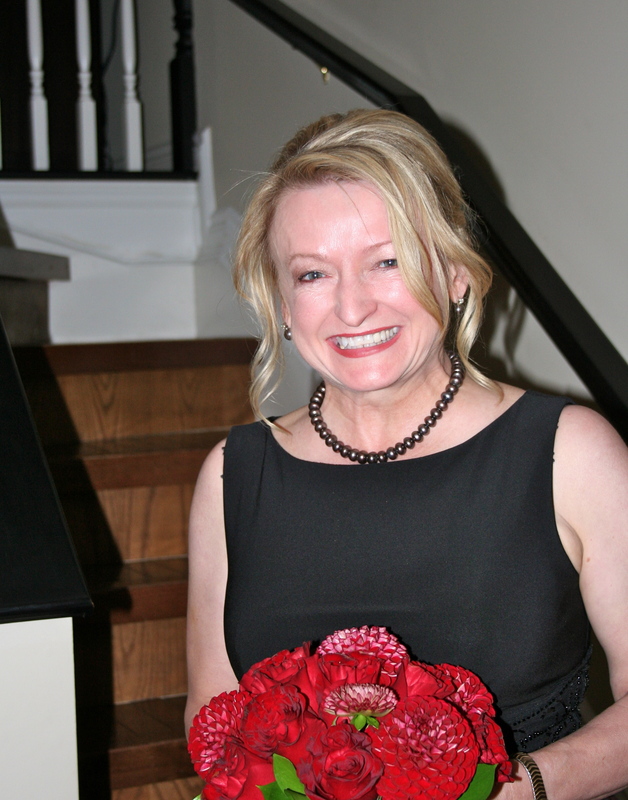 This is my updated Facebook photo on my profile: it was taken at our wedding last October. Look at that smile! Sadly, the hair is no more. Brain surgery can do that to a girl. I am requesting the participation of women, (40-75) in The Friendship Project. My intent is to gather input over the next 4 months via a questionnaire, and then put the results into some kind of meaningful context and self publish or take it into social media. Or a combination of all of those. The purpose is to find stories and anecdotes from women that can help other women deal with the challenges that face us making friends as we move through this stage of our lives. All you have to do is fill in this questionnaire (copy the questions into an email, answer and send to me at lonsdale.19@hotmail.com) If some kind person who is also a social media genius can suggest a better way, I would happily entertain it. If you are comfortable, it would be appreciated if you could send out the questionnaire out to women in your own network who are in the target group (40 to 75). All answers from you and them will be anonymous. So far, I have had very positive responses: my network of friends have truly enjoyed the process of thinking about the nature of friendship and what it means to them. The “Project” does not pretend to be a rigorous, scientific study. I would like the final product to be an interesting, easy read, and with some levity. So pour some wine! 1. How would your closest friends describe you as a friend? 2. What kind of friend do you want to have ? 3. What kind of friend are you? 4. Most people have friends for different reasons. Is that true for you? 5. How have you successfully made new friends in the past? Any unusual sources or approaches? 6. Will those approaches still work for you? 7. How long does it take or what needs to happen for you to move closer to friends? 8. What has surprised or delighted you about friendship? 9. How have your parents or siblings shaped your attitudes towards friends and friendship? 10. Any patterns that you can detect? 11. Have you let a friendship go? How and why? Are you happy with how you did that? 12. Or were you on the receiving end of being “unfriended? 13. What would the grown up _insert name____tell the teenage ___insert name___ about friendship? 14. What do you wish you could “do over” with respect to friendship? And why? All responses are anonymous of course. Please answer within this document, and return to Lonsdale.19@hotmail.com. Please indicate by indicating Yes or No if you will allow me to email you for clarification of points, or if you wish to receive a copy or link to the final project. I hate junk email too!